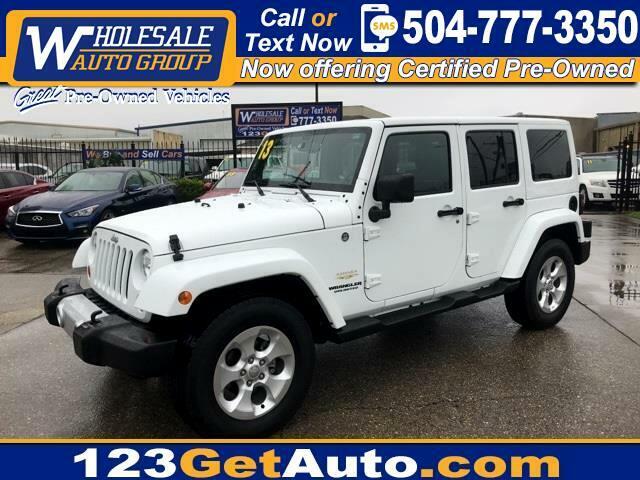 Wrangler Unlimited Sahara, 4D Sport Utility, 3.6L V6 24V VVT, 5-Speed Automatic, 4WD, Bright White Clearcoat, Black w/Cloth Bucket Seats. Priced below KBB Fair Purchase Price! Odometer is 15966 miles below market average!